...... in a short period of time, wake up arrest Debrestion now??? Where are the nationalist tigrayans the like of Dewit G. Memhir G/kidan, Memhir Muluwerk, veteran woyenti, Seb Hidri and others, speak up now and ask Debretsion to resign and put nationalist command center 10 members to lead Tigray now??? This moron man is taking to Tigray to hell and everyone is fooling him like an infant homeless kid from the street. Wake up Tigraway and take matters in to your own hands, the military must take over Tigray and kill or arrest Debrestion, Getachew Reda and Alem G/wahid. What is happing behind the sense is Tigray central committee responsibility to take and central committee of Tigray betrayed to elect damaged brain and not fully grown brain not better than 5 years old child to lead Tigray. Our arm forces is being led by totally brainless except flesh Teseare the shame of woyenti and Tigray. We cannot do anything except to warn you and know ahead of time what is coming at you. Wuqabekum Tidahal Atum Duhulat Metfaet Hizbom Ayni Sbhi Zeyblkum Woradatat??? Last edited by Halafi Mengedi on 15 Jan 2019, 00:53, edited 1 time in total. Wuqabekum Yidahal Atum Duhulat Metfaet Hizbom Ayni Sbhi Zeyblkum Woradatat??? Degnet should be proud now, he got worst moronic than him in Tigray. I understand that you have been acting tough in public. But you and I know the real relationship between Shabia and TPLF. 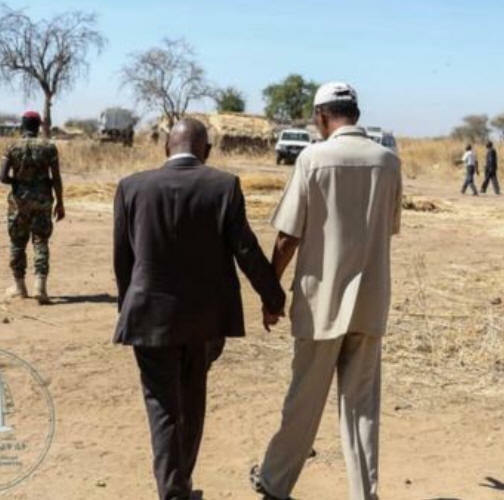 When TPLF feels alone, the slave TPLF has always been Master Shabia's [email protected] As you know it very very well TPLF had wiggled its tails to be molested by Shabia during its 17 years of struggle and they are on their way to do exactly that right now...The intelligence deprived Debretsion will tell you that he learned it from the coward Meles and he has no option but to wiggle his tail in order to save the dead Tigray Republic from its demise...The way things have been going on in Ethiopia for almost a year now, there is no hope for TPLF and that I will not be surprised if TPLF chooses to remain our volunteer [email protected] Nothing new here though.. I think it might be for the benefit of the dead Tigray Republic that Debretsion has volunteered to be shag*ged by PIA in the jungle of Oma-Hajer.. Not only that I will not be surprised if PIA invites Debretsion to Eritrea anytime soon to get massage like Meles used to give him but Debretsion has to make sure that he cleans his stinky agame as*s before he sets his feet in Asmara or Massawa ...I suspect that the Honorable Prime Minister Dr. Abby has authorized the whole situation..
An alpha male monkey is brave when he notices a coward person. This is true still going on in the kingdom of monkeys, when some one throw a stone to the heard of monkeys the head of alpha monkey runs to the stone and smell the stone in order to gauge whether the person is brave or coward. If the stone has a trace of sweat then the person is coward and charges towards the stone thrower and chase him away from the heard but if the stone is dry that means the stone thrower is unflinching brave person and the alpha monkey runs away from the person and the heard flow the alpha male too. So, your braveness is when you see coward like Debretsion and you start to make noises but when Deqi Embiley confront you, you run to the Arab league or UN and AU as we know it. TPLF and the citizen of the dead Tigray Republic have been acting tough and brave for the last 20 years when over 90 millions Ethiopians were under their hostage...Not only that, you had Ethiopian wealth under your control to do whatever you wanted to do. Now, Time has changed and the coward TPLF goons have run to Mekelle with their tails between their legs and hiding in Aksum Hotel. If you really are brave, I think it is time for the coward TPLF goons and the citizens of the dead Tigray Republic to prove every one of us wrong about their cowardice....We saw your people the other day begging the Federal Soldiers not to leave you alone.. The reason was that you are still afraid of Shabia . By the way, what is the WHITE flag about ?? I don't talk to a hanged skeleton,Halafi Mengedi and who is the hanged skeleton,you,yourself.Melke tefun be sem yedegefu"Halafi Mengedi"
Happy time Mogninet, we have worst moronic than you in our home destroying Tigray, his name is Dektam Debresiol. Just like Derbay Nai branda brain damaged and koltaf melhasu.